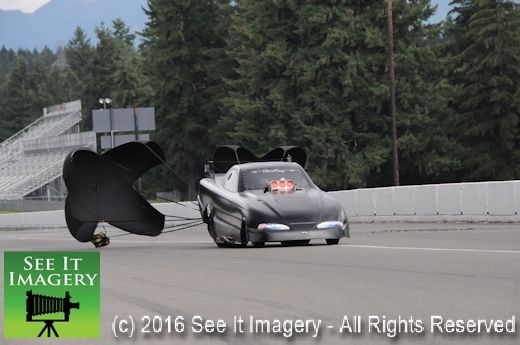 09 July 2017 Kent, WA – In a rare race on Sunday the Jr. Dragster racers came ready to race at Pacific Raceways. The juniors were paired up with the Nostalgia group of racers and fine old race cars. The weather could not have been better for the six classes in the nostalgia series which is great for all those that own the autos built before the mid 70’s. All four American auto manufactures could be seen racing down the track, with a couple of Topalino bodied cars thrown in for something different. For the Jr’s it was business as usual, laughing and joking around as kids do, but climb into the dragster and its all business. This is true of all the competitors here today as it all revolves around family. All around the pit spaces that are not much more than a camping setup families come out to enjoy the sport they enjoy with the smell of bacon filling the morning air. This combination of old school racers and their cars mixed with the next generation of racers is a great mix for all to see what was and what will be. 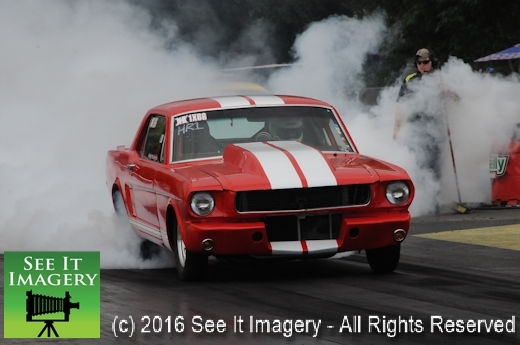 Over 400 images of all the racing today, lots of cool shots of racers “doin it old school” too. Click here to go to the photo album. 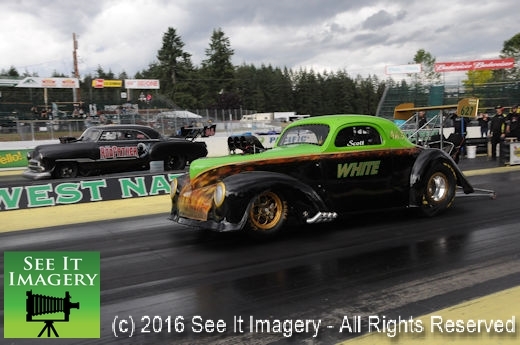 10 July 2016 Kent, WA – Capping off a very busy 3 event weekend at Pacific Raceways, and after two days of fighting Mother Nature she left the track alone as the weather passed around the area for great racing. The cooler than normal temp with a good track temp put a number of racer’s to their best passes ever. Watching these early years race cars make passes some of which only come out for this race along with the series runners is great to watch. Throw in a bunch of AA/Supercharged powered rides that will pass 200mph in six and a half seconds. Add to that Randy and Kim Parker with a new car for daughter Stephanie. Her maiden run done with a thumbs up from dad, and a little nervous Stephanie laid down two fine runs not quite to the sixes that the car is capable of running but worthy of big hugs from the crew and parents. Great weather for great photos today too – click here to see all the images from today’s action.